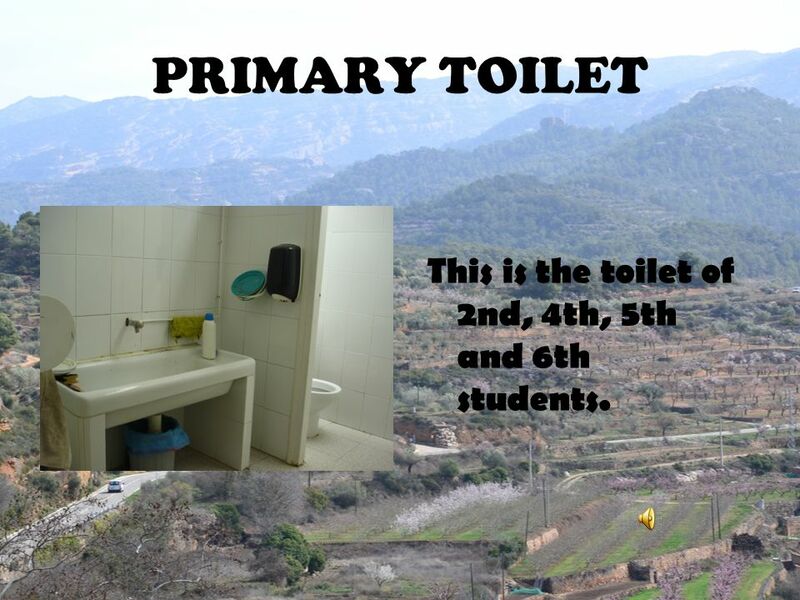 INTRODUCTION Our school is called “Escola Montsant”. 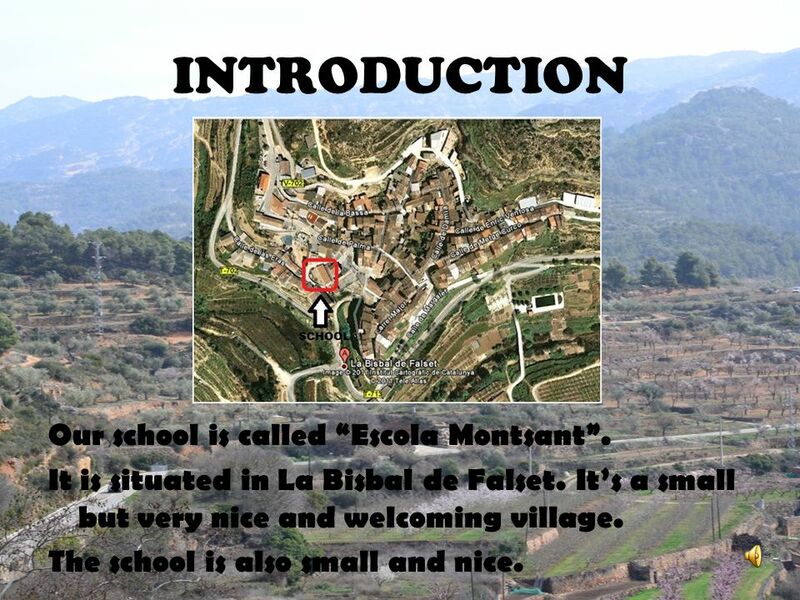 1 INTRODUCTION Our school is called “Escola Montsant”. It is situated in La Bisbal de Falset. It’s a small but very nice and welcoming village. The school is also small and nice. 2 FACADE The facade is the front part of the school. 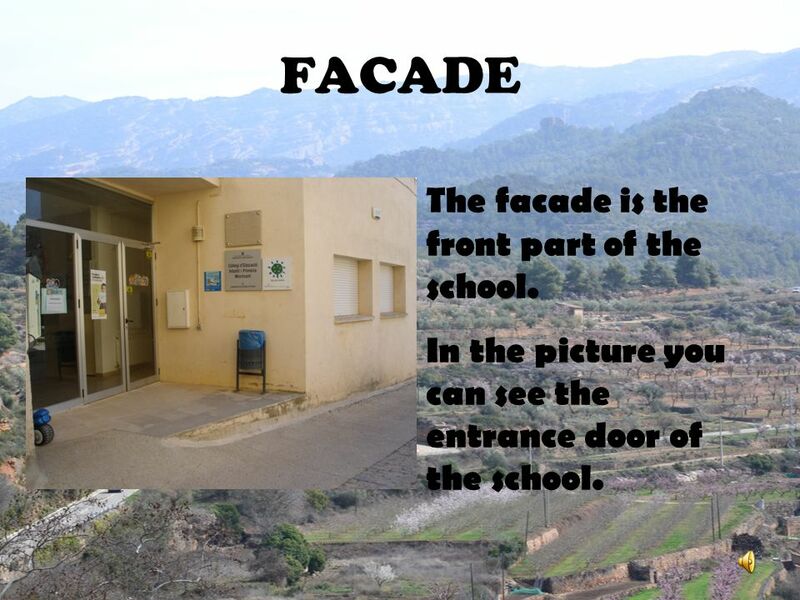 In the picture you can see the entrance door of the school. 3 CORRIDOR The corridor is very long . 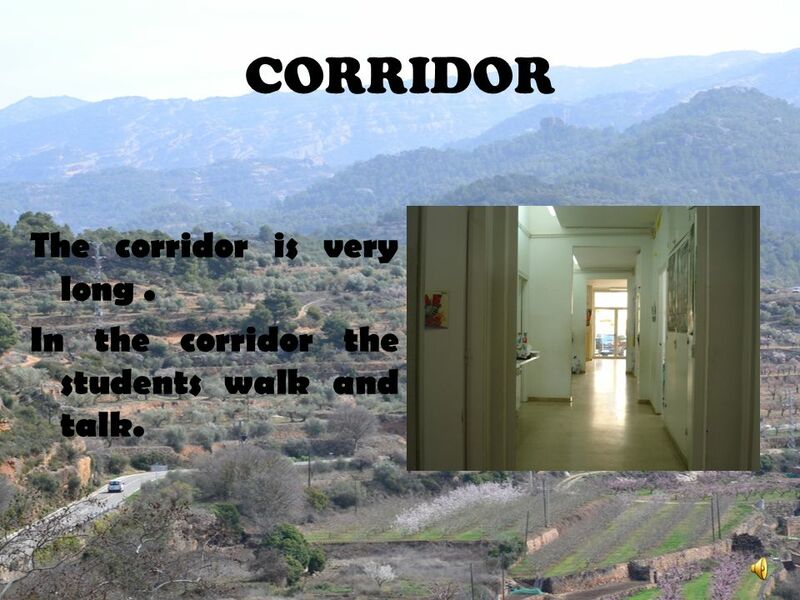 In the corridor the students walk and talk. 4 STAFF ROOM This the staff room. It is next to the photocopier room. There are desks, a computer, a printer and a cupboard on it . 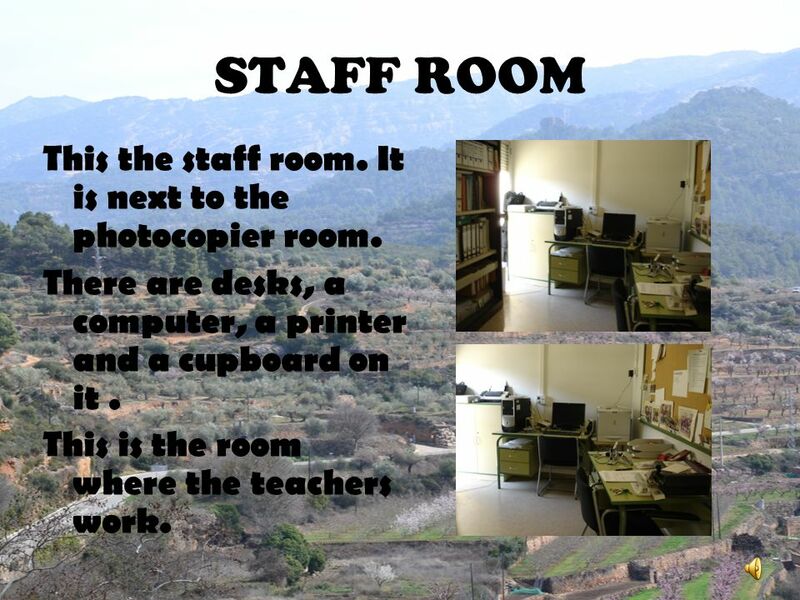 This is the room where the teachers work. 5 P.E. 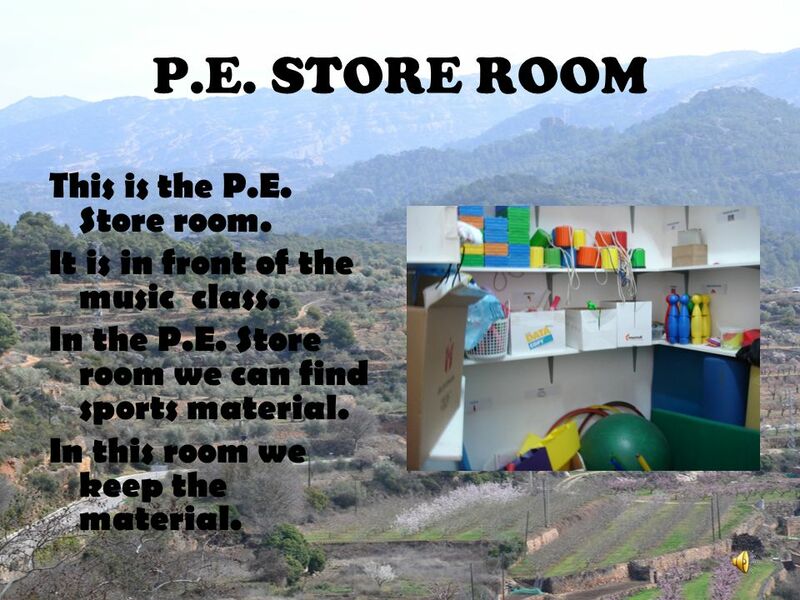 STORE ROOM This is the P.E. Store room. It is in front of the music class. In the P.E. Store room we can find sports material. In this room we keep the material. 6 MATERIAL STORE ROOM This is the material store room. It is near the entrance. 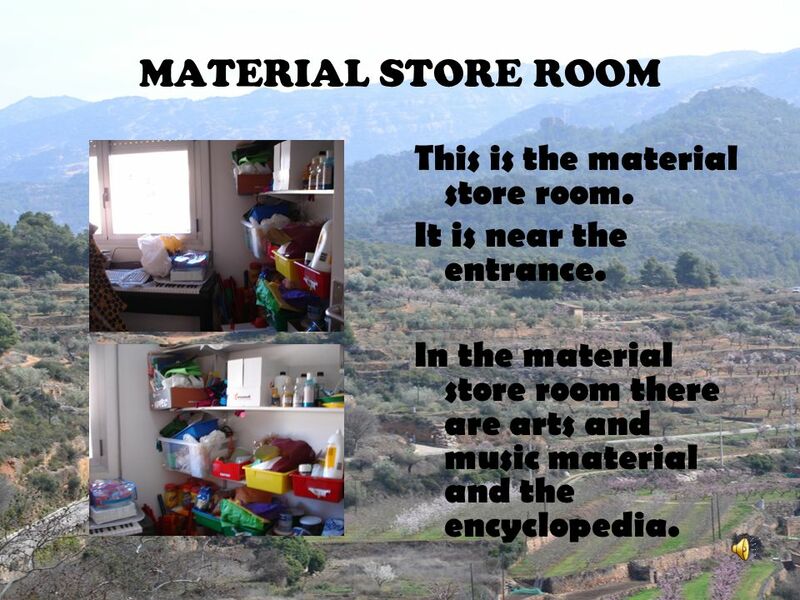 In the material store room there are arts and music material and the encyclopedia. 7 PHOTOCOPIER ROOM This is the photocopier room. It is between the material room and the staff room. 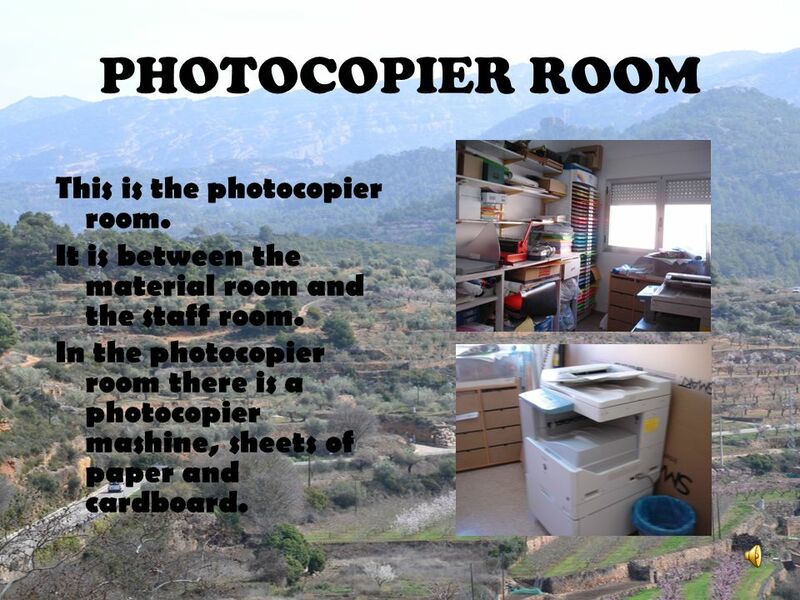 In the photocopier room there is a photocopier mashine, sheets of paper and cardboard. 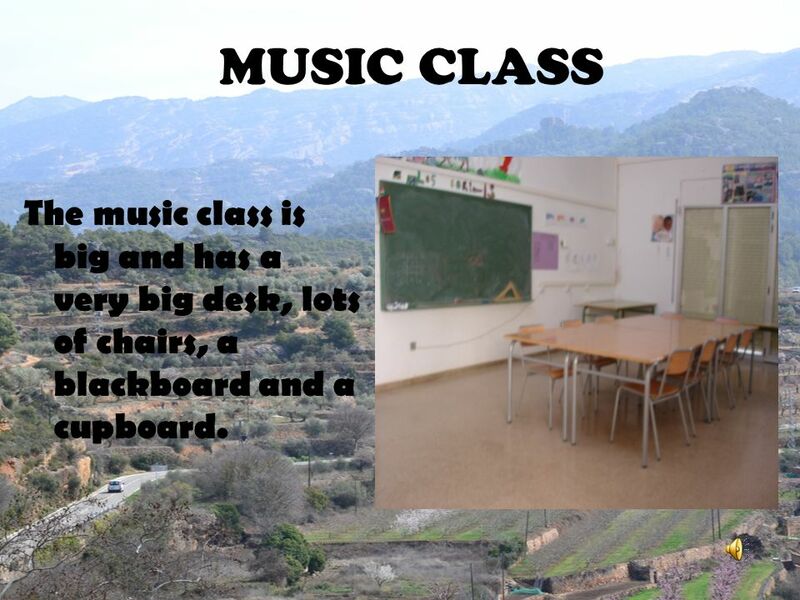 8 MUSIC CLASS The music class is big and has a very big desk, lots of chairs, a blackboard and a cupboard. 9 PRIMARY CLASS In the Primary class we have a blackboard, a digital board, a projector, four computers and one laptop. We also have four tables, ten desks, eight cupboards, sixteen chairs, maps, books. In this class there are second, fourth, fifth and sixth levels together. 10 NURSERY CLASS In this class there are the boys and girls of P3 and P5. 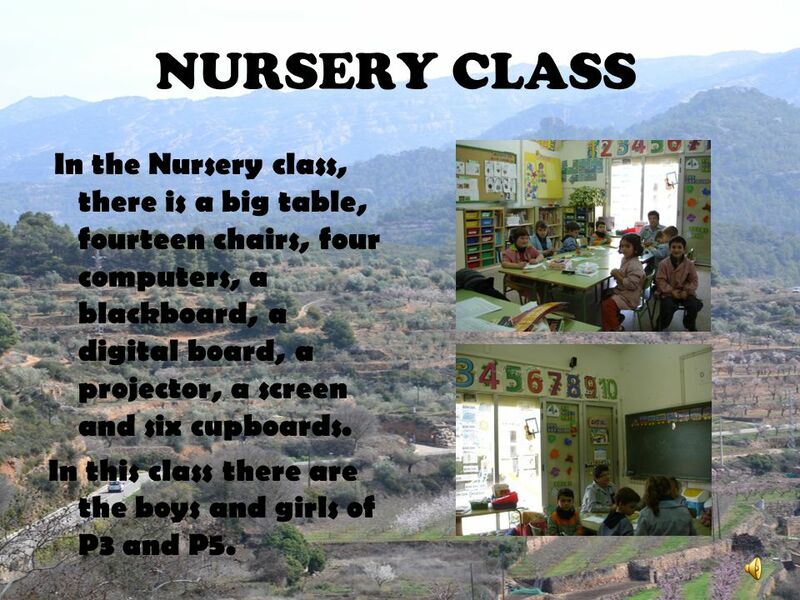 In the Nursery class, there is a big table, fourteen chairs, four computers, a blackboard, a digital board, a projector, a screen and six cupboards. 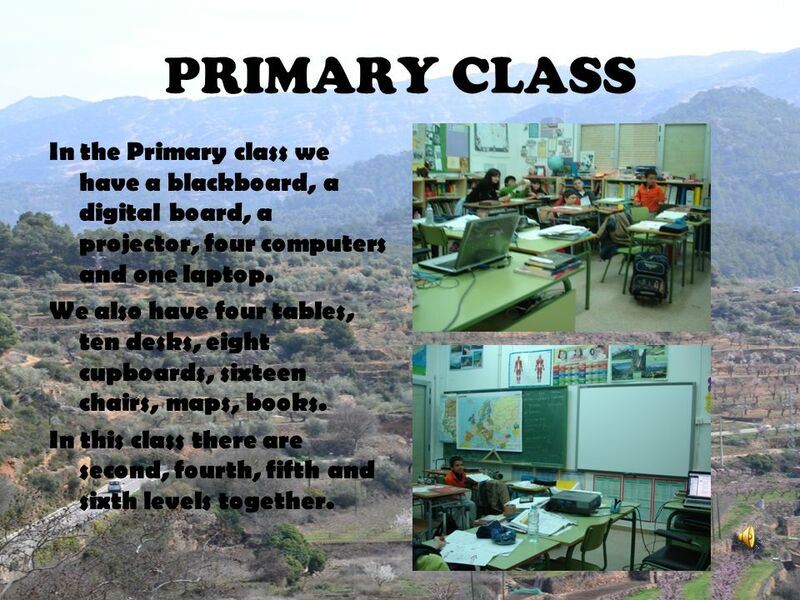 In this class there are the boys and girls of P3 and P5. 11 ENGLISH CLASS The English class has got posters, three laptops, three tables, a projector, sixteen chairs, a TV, a CD player, a video player, two cupboards and a blackboard. 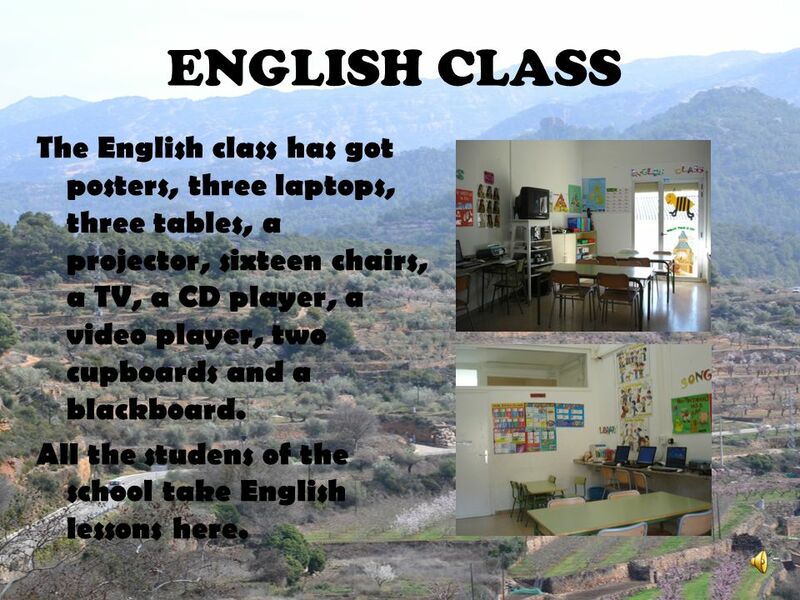 All the studens of the school take English lessons here. 12 PLAYGROUND The playground is next to the street. It’s very nice! 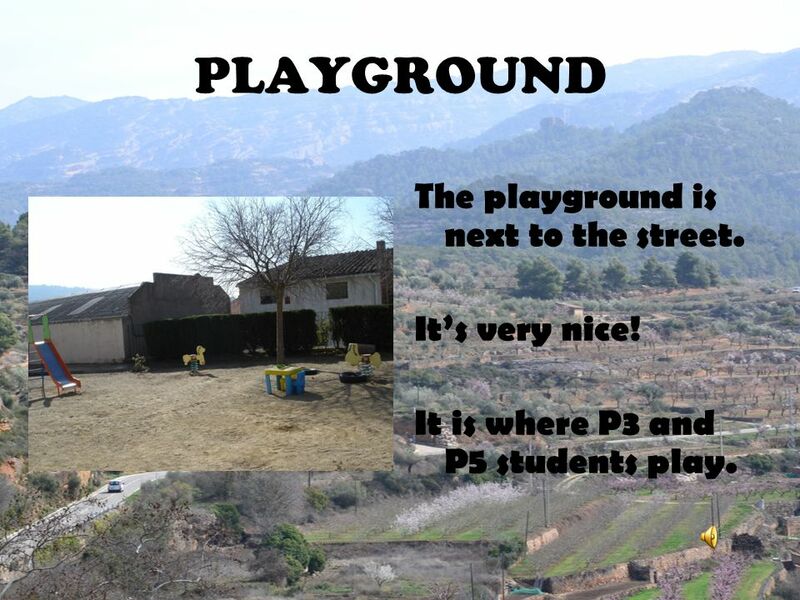 It is where P3 and P5 students play. 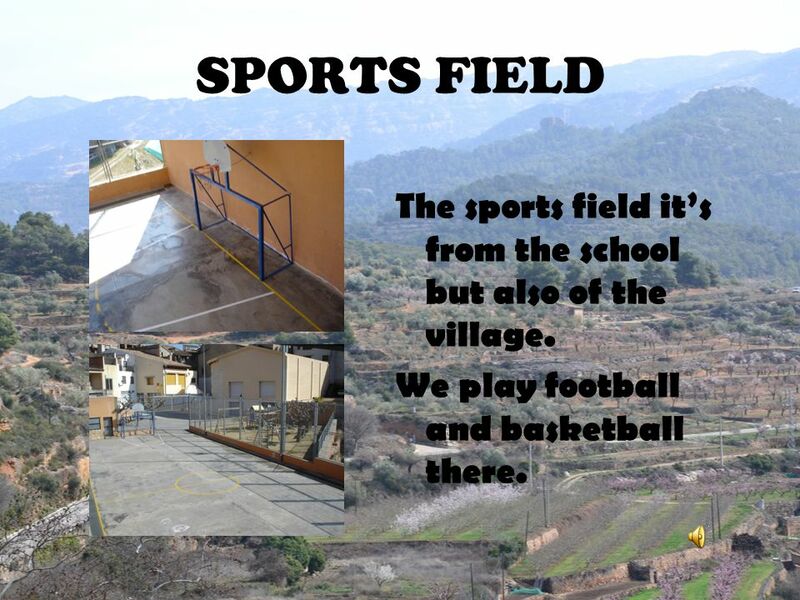 13 SPORTS FIELD The sports field it’s from the school but also of the village. We play football and basketball there. 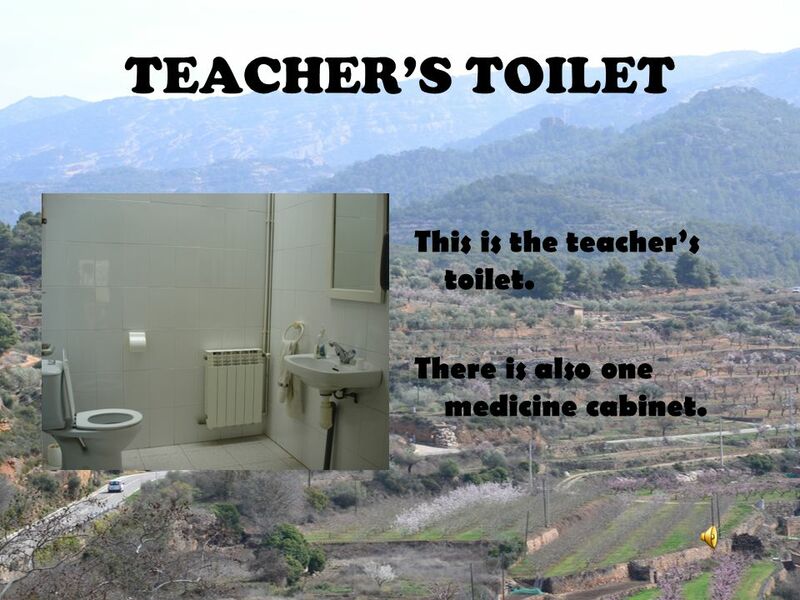 14 TEACHER’S TOILET This is the teacher’s toilet. There is also one medicine cabinet. 15 NURSERY TOILET This is the toilet of P3 and P5 students. 16 PRIMARY TOILET This is the toilet of 2nd, 4th, 5th and 6th students. 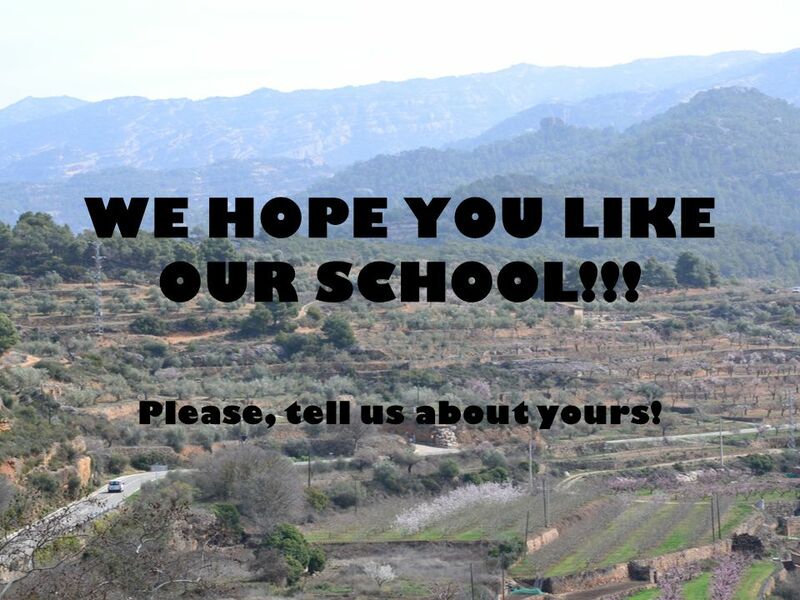 17 WE HOPE YOU LIKE OUR SCHOOL!!! Please, tell us about yours! 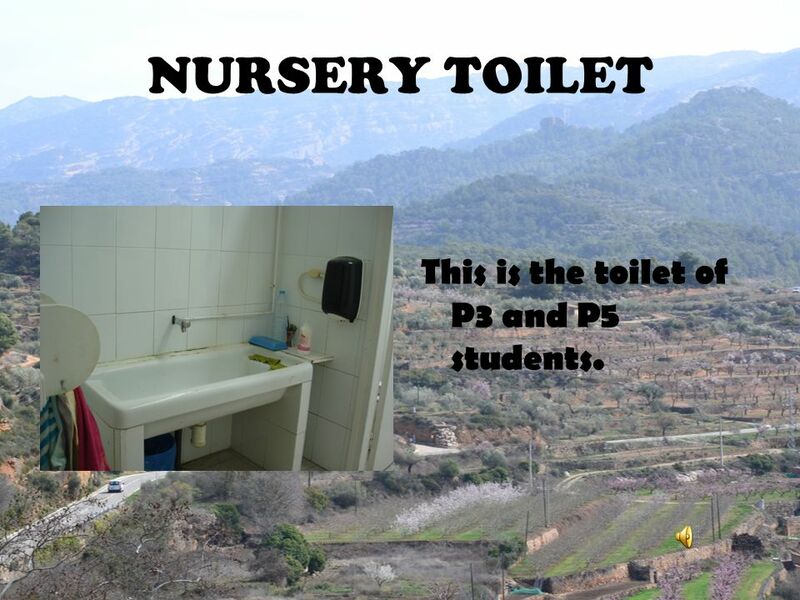 Download ppt "INTRODUCTION Our school is called “Escola Montsant”." 4B Unit 8 Open Day (Part BCD). music room Look and say. This is the main entrance to our school. Photocopy room. Chapter 6, Book 2A Places in the park. Primary name Blessed John Paul II in Tluszcz Author- Anna Pelak. One day at our school English project of pupils from the Czech Republic and Poland. Our school. Escola Básica Elias Garcia PORTUGAL Tell me more! Žeimiai secondary school. Our school is not big, but it is very nice. It was build in In our school there arelearning 254 students. School hadmaster. In my bedroom I have two beds because I share the room with my sister. I have a window with curtains, a chair, furniture and lots of Justin Bieber posters!!!! My HOUSE Ivanovo, 2 Bereznikovskaya street, 38 Kholodkov Michail 10 years Form 4-b Teacher: Svetlana Tuvina. Unit 3 Lesson 2 Presentation 2 - evaluation. The books are on the ………. shelves. Hello, my name is… Suzanne I come from the Netherlands or Holland I’m here to help with the English lessons. This is our school. It is called St. Colmcille’s N.S. We are situated in the very centre of Ireland.